Challenge: To grind a variety of tooling punches to extreme precision, while accommodating small lot sizes with short changeover times. Hydraulic punch machine tooling goes through punishment when forming and stamping materials of variable thickness and hardness. The punch design is more about stringent material hardness properties, although geometric tolerances are just as important since the punches have to fit precisely into the conforming tool die to precisely shape the component at an extremely high rate. A company grinding many different punch parts was using a custom machine with a tilted grinding head needed to replace an aging custom German machine tool. The goal was to purchase a standard modular centerless grinding machine that could be configured to grind the parts with extreme precision and one that could accommodate changing over small lot sizes in less than 15 minutes. The GT-610-CNC was fitted with the patent pending moveable lateral work rest axis, streamlined automation and optimized setup reduction tooling to perform the task. Using quick disconnect pick heads for the gantry, a pre-configured work rest blade and dedicated part program files, the operator is left with little worry of error during the setup process. 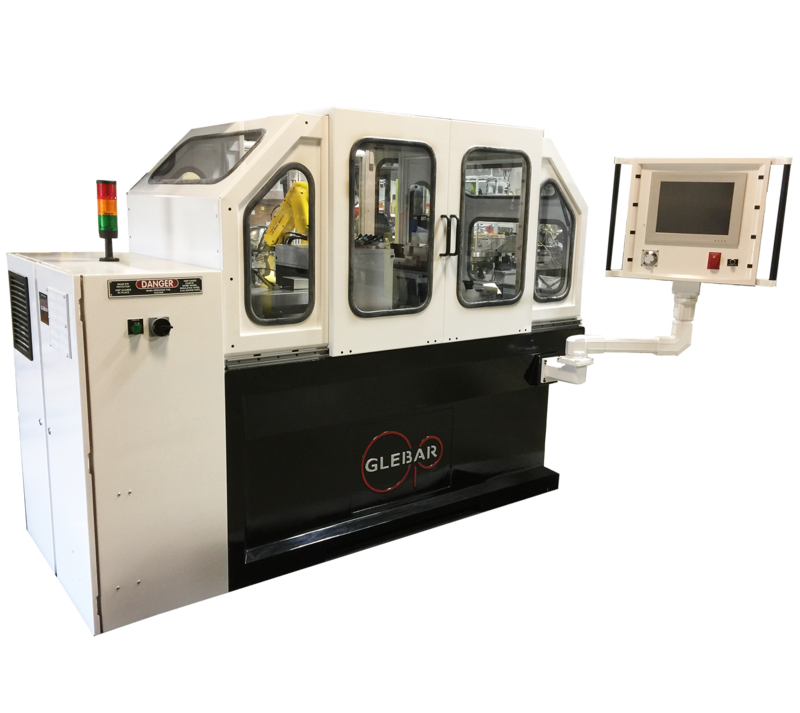 Not only was Glebar able to grind the parts within stringent 0.0002" diameter tolerances, the machine automatically starts a dress cycle at a predetermined part count, sizes the grinding wheel, adjusts diameter and returns on line without operator intervention, further automating the process.